"It’s time to spread some love beyond the borders of the Book Blogger Hop! This week, we aren’t answering a question. We are spotlighting our fellow bloggers. Find your favorite(s) author interview(s), guest post(s), book review(s), or bookish article(s) that ANOTHER BOOK BLOGGER featured on their site recently and tell us why you love it/them! As an additional challenge, find your favorite one of EACH of the categories above and spotlight all 4 (interview, guest post, review, article)." I am searching through blogs to see what I can find! Here is the one post that I do remember really enjoying. 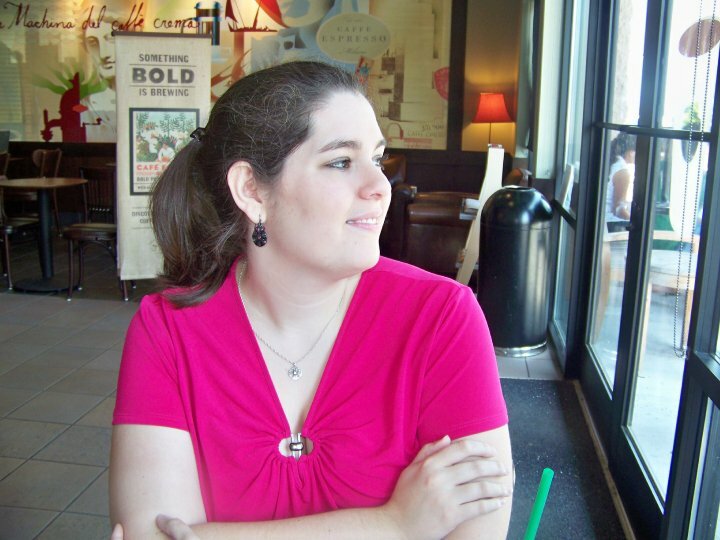 Guest Post - Amy Garvey talking about imagery on Books Complete Me. She gave some examples of how she would turn some ordinary phrases into descriptive poetry. Review - Daughter of Smoke and Bone on The Bookish Type. I actually think that all of Casey's reviews are extremely well-written and enjoyable to read; this just happens to be one of her more recent posts. I will add more as I remember or find them! "If you could pick one character in a book, movie or television show to swap places with, who would it be?" Hmm...this is tough! I think I would have to choose Thursday Next from the Thursday Next series (The Eyre Affair, Lost in a Good Book, The Well of Lost Plots, Something Rotten, and First Among Sequels). Yes, this is kind of cheating - if I could trade places with her, then I could travel into any book that I wanted! And I think it would be amazing to visit some of these worlds. Great answer! I hadn't heard of this series but this definitely sounds fun! hop hop hop! new follower here! See my Follow Friday Post. Hopping through and new follower! Be sure to visit back and check out my Halloween giveaway! Hopping through. I've only read the first Thursday Next book. I should read the rest of them. Great answers, I loved them! Amazing post! I'm now following your blog! I have not heard of this series! I will have to check it out. Hi, new follower stopping by for Follow Friday! I have not heard of this series, but the premise of being able to travel into any story is intriguing! Thank you so much for hoppin over to my blog! It looks like we have a lot of the same books in common - I'm excited to see your upcoming reviews. Oh that is an EXCELLENT choice (damn wish I'd thought of it)! Love Thursday Next, and not just cos it's set in the town I grew up in, although is a bonus. I picked Veronica Hobbs from the Newbury and Hobbs series by George Mann, awesome steampunking adventure! And there's something about Sir Maurice that's just yummy! 'Old' follower here, hopping through! I like your answers to both questions, particularly the one for the FF Hop! Although I have yet to read these books, I can understand why you would want to be this character. It would indeed be fascinating to be part of the plots of these great-sounding books!! Thank you so much for connecting to that guest post by Amy Garvey. She is obviously a master at imagery! I had a great time reading it and will probably show my students (sophomores) her examples. Stopping back for a look around...just love your side panels, header, and colors. that's a cool thought. check out mine.